Rabbi Michael Taubes is Rosh Yeshiva at RIETS, and has served as Head of School at the Marsha Stern Talmudical Academy – Yeshiva University High School for Boys, as well as a past member of the rabbinic faculty of Yeshiva College. He is also the spiritual leader of Congregation Zichron Mordechai in Teaneck, New Jersey, delivering regular Shiurim and lectures both there and at the Beis Medrash of Bergen County, housed in Teaneck’s Congregation Bnai Yeshurun. His classes are well known for their breadth of sources and clarity of presentation. Rabbi Taubes has been involved in formal and informal Jewish education for more than thirty years, serving both in the classroom and in various administrative posts. An alumnus of Yeshivat Har Etzion (“Gush”) in Israel where he was a student of Rav Aharon Lichtenstein, zt’l, Rabbi Taubes attended Yeshiva College and was honored upon graduation in 1980 with an award for excellence in Talmud. He subsequently studied in the Rabbi Isaac Elchanan Theological Seminary for several years in the Shiur of the revered Rabbi Joseph B. Soloveitchik, zt’l, and from where he received his ordination. He also earned a Master’s Degree in Jewish Education from Yeshiva University’s Ferkauf Graduate School and then spent several years learning in Yeshiva’s Marcos and Adinah Katz Kollel, headed by Rabbi Hershel Schachter, shlita, with whom he continues to maintain a close relationship. 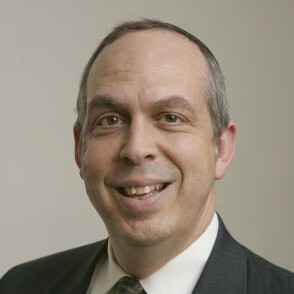 Recognizing the need to spread Torah to people outside the sphere of influence of the yeshiva classroom and the Beis Medrash, Rabbi Taubes helped found The Jewish Learning Experience of Bergen County, a flourishing adult outreach institution, which he directed for many years and with which he remains affiliated. Rabbi Taubes is the author of The Practical Torah, a collection of articles on topics in Halachah based on the weekly Parshah, as well as numerous essays on an array of Torah subjects appearing in many Jewish publications. He also worked for ArtScroll/Mesorah Publications as a writer and editor for the English translation of the Talmud Yerushalmi, co-edited High Holiday Machzorim featuring the insights of Rabbi Joseph B. Soloveitchik and has been involved in other Torah literature projects under the auspices of the Orthodox Union. Rabbi Taubes resides in Teaneck with his wife and family. The Mitzvah of Talmud Torah: How Much, How Often? May We Rebuild the Temple Today? Is There a Mitzvah to Arrange Shidduchim?